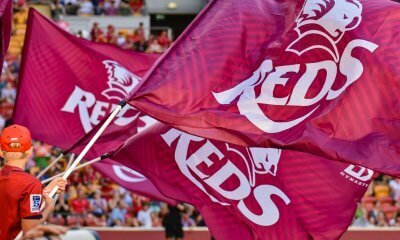 I believe it is now compulsory to refer to my beloved Queensland rugby team as the “Resurgent Reds” following their breakthrough win over the Super Rugby Champions, the Highlanders, last weekend. That seems to be the trend in most match previews I’ve read this week and, hey, who am I to break with tradition? However much these midnight encounters in South Africa often fall into the old ‘out of sight, out of mind’ category, speaking from a Reds’ perspective, this game has meaning. The win over the Highlanders won back a lot of fans (and rewarded many that never left) due to the result, as well as the style of victory. There’s no doubting the second half was car crash stuff, but in the end we can take as much out of their ability to hold on to the win as we can take from their brilliance at the start. For the Bulls, they’re in a much more comfortable position. They’ve lost just the one game (in week one v the Stormers) and are sitting on second spot in their African 1 conference. 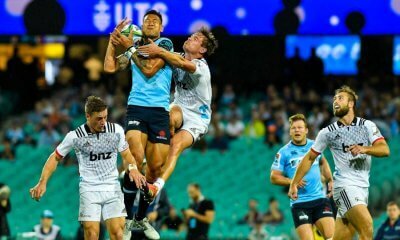 Other than a quick jaunt over to Singapore to take down the Sunwolves a few weeks ago, the Bulls have had the pleasure of playing all their games in South Africa with this game their last before a road trip to take on the Brumbies and Waratahs. C’mon, everyone, say it with me know “Kerevi ran for a 2016 Super Rugby record of 162m against the Highlanders”. 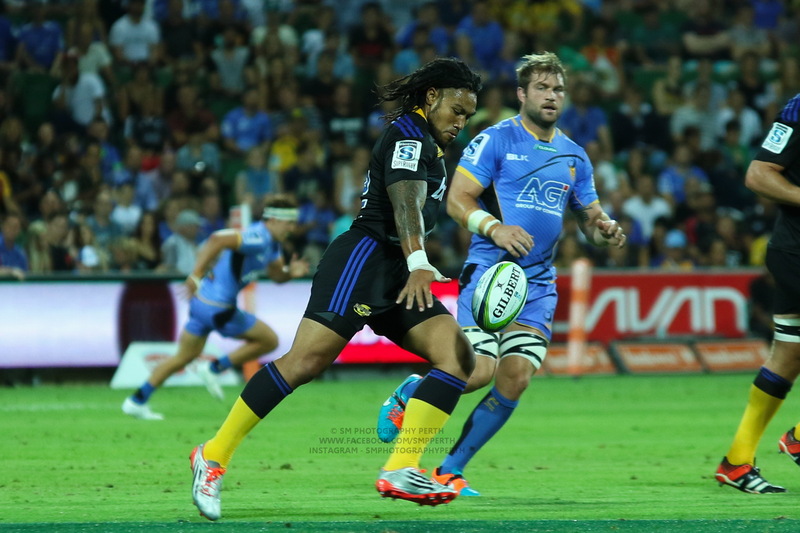 It’s become almost a catch cry this week – likely because of the sheer quality of the performance against All Black Malakai Fekitoa but also because it came out of nowhere. Kerevi has been solid this year, and solid enough last year, but we now need to see Samu produce that type of performance consistently. Starting this weekend in Pretoria. It will be up to a couple of young Springboks in Kriel and Serfontein to ensure it doesn’t happen. 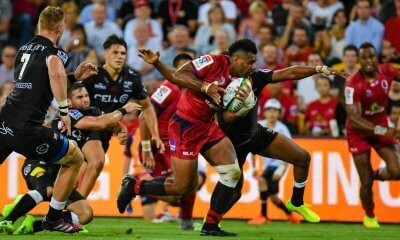 The two will need to work together to combat Kerevi’s physicality, no doubt working in partnership with their handy backrow particularly Lappies Labushchange. Kerevi’s own defence will be fully tested by the silky Bulls centre combination who both have that instinctive ability to find a weakness in the opposition defensive line. Frisby’s performances this year continue to confuddle rugby watchers. Those who claim he box kicked too much last week are oblivious to the fact it was clearly an exit strategy performed between the 22m and 40m line with the contestable kicks preferred to Jake McIntyre’s pop gun clearances limiting a dangerous Highlander counter attack. Frisby has stepped up as a go to man this year and, despite his relative inexperience, he is an apparent ‘spirit leader’ within the team. The diminutive Rudy Paige is similarly a youthful leader of his team. Whilst Paige is the official vice-captain of the Bulls, in the absence of Handre Pollard, the RWC Springbok squad member will be a key link to his side’s attacking play. Returning from injury (along with fellow Bok Bjorn Basson), Paige replaces Piet van Zyl in the starting nine jersey to ensure a tasty battle with the in-form Frisby. I don’t know much about Marcel. I’ve read he’s versatile, in that he can play both sides of the scrum, and he’s apparently got a bit of a reputation as being handy around the field, with ball in hand. Seems pretty Slipper-like, without obviously the Super Rugby experience. They’re apparently also a pretty similar build, if you believe the figures you find on-line. What I do know about Marcel of the Bulls, is that he’s given away more penalties than any other player in Super Rugby this season. Fifteen in nine matches. It’s another indicator as to why the Bulls currently sit at 2nd bottom on the ‘scrum effectiveness’ ranking at 80%. You don’t have to be Rod Kafer to suggest that the Reds will be targeting the Bulls’ scrum this weekend. Whilst the scrum is very much a team effort, the experienced head of Reds’ skipper Slipper will be putting all sorts of pressure on Marcel at scrum time. 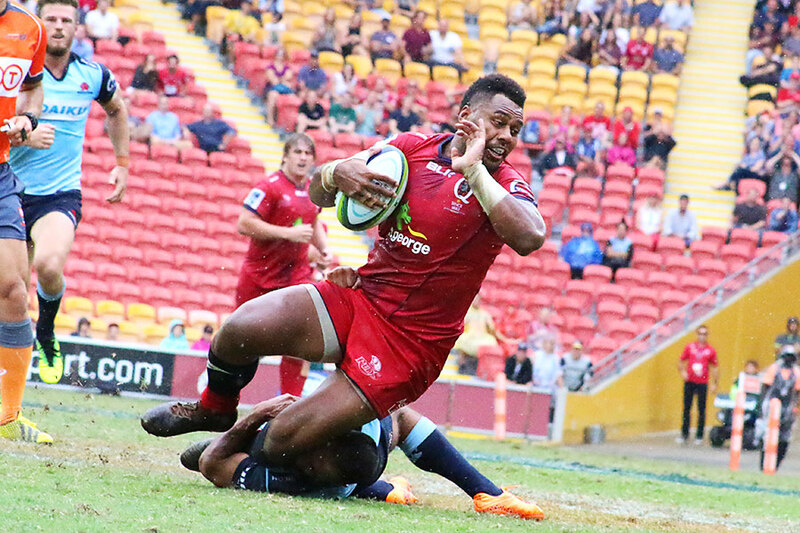 Scrum dominance hasn’t necessarily meant a lot in the results column for the Reds, but as they take on their first South African opponent of the year, their set piece dominance could have a multiplying effect elsewhere. The Bulls start deserved favourites and I will go through the motions of tipping them by four. Both teams have had excellent defense, in terms of tries conceded, so far with only the Stormers and Waratahs conceding less. The Bulls have been particularly ‘tight’ in the first half only conceding two tries all season there so far, so the Reds will need to be patient. The stats indicate that the Bulls really struggle to stem the flow of points in that first period of the 2nd half, so the Reds will have to go against their form and really ignite after the break to take their chances. Rob Simmons is a massive loss for the Reds and whilst his replacement Ben Matwijow was excellent off the bench last week, replacing the lineout leader will be a massive challenge. The very raw Lukhan Tui, a man mountain and still under 20, comes on to the bench along with another youngster in the impressively mature scrumhalf, James Tuttle. Both Tui and Tuttle will make their Reds debut if they take the field. I heard/read a couple of other comments like that from last weekend. I’m sure he scores well on his technical refereeing ability/peer reviews, but the man just doesn’t seem to have a feel for game management AS WELL AS the strict application of the rule book in all of it’s wonderful and multi-dimensional glory. I beg your pardon, but as a mark of respect, you should be referring to him by his full name- Angus Fkn Gardner. Also it’s not Marius Jonker as TMO with his penchant for influencing and highlighting certain incidents (whilst ignoring others). I can’t think of anything worse than having a Berry/Jonkers combination on an SA road trip. Any combo with an “Ayoub” in it? Better man than me Muffy – I’ll be watching a recording next morning. Try listening to the Xhose commentators. Makes more sense. 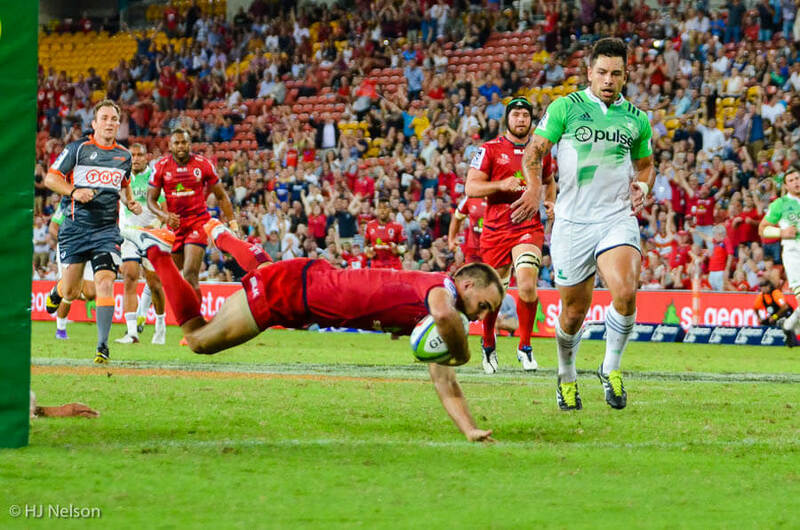 The Reds are the only Australian team that hasn’t lost to an overseas opponent yet. RR, Great write up and like you I will be awake watching this one! My optimism knows no bounds. Most people write us off last week, and for once we snatched victory out of the jaws of defeat, instead of the other way round. I think this will be a great game and I am hoping our backline and attack fires like the first half last week. The ‘referump’ concerns me, but such is life. If the Resurgent Reds (Love your call on this one RR) come back from this overseas journey with a 50% win loss ratio that will be outstanding and better than most other Aus teams will have achieved. Here’s an idea for commentary, why not use neutrals? Kiwis for Oz vs Saffa etc. Might actually get some objectivity? That would be good! Because if I ever have to listen to Phil Kearns commentate another Waratahs game again I will noose myself! They could do it from the studio of a different country I suppose but locals like their own commentators. And they wouldn’t cart Kiwi commentators off to JHB to do a Bulls v Tahs match in the real world – it’s too expensive. Broadcasters even tend to use local broadcasters where the live to save interstate travel and accommodation costs. 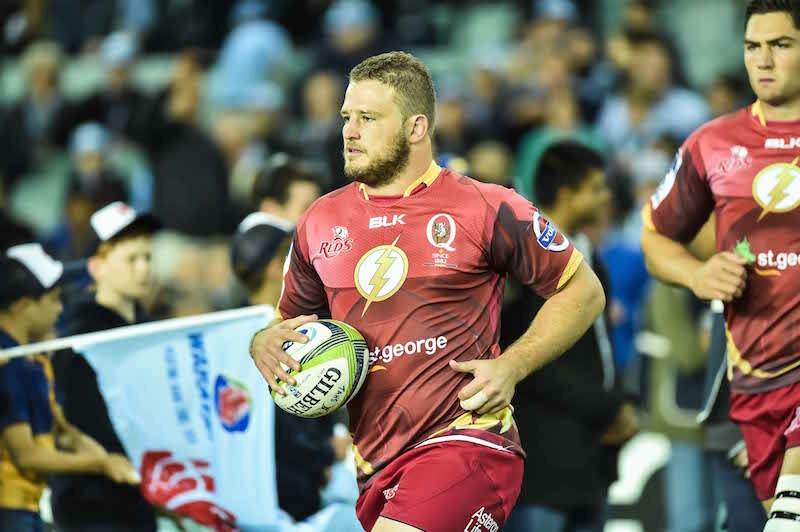 Of course Martin played for the Reds and Kearns for the Tahs but I don’t think that Kearns would be rostered so much for Sydney games if he lived out of state – and similar for Martin. If there was a bit of ex-Wallaby prime commentating talent living in Perth, Foxtel would be onto him.. Imagine the lack of enjoyment we would have experienced if Matthew Pearce or Owen Nkumane had done the Reds v Highlanders game last week? We would have lost the excitement of that close game even though it was biased; likewise for all neutral commentators. The local biased excitement can infect not only domestic viewers, but even neutral viewers outside the RC Nations – but the work of neutral commentators would not. .
And Dody Weir is running like a demented giraffe. BillMc was a legend even us English liked him. I’m looking forward to seeing big Lukhan when he comes on the park though still in his U20 year. Trouble is, if he plays well, the Top14 managers could be getting their cheque books out because they could see a bargain. He’s the kind of young player that they target, like a speculator buying a promising stock. Prime Saturday afternoon viewing for us in London- I would love to see the reds play like they did in the first half against the highlanders, not super confident in getting a win but I wasn’t last week either! How do we keep getting Angus Gardner?! 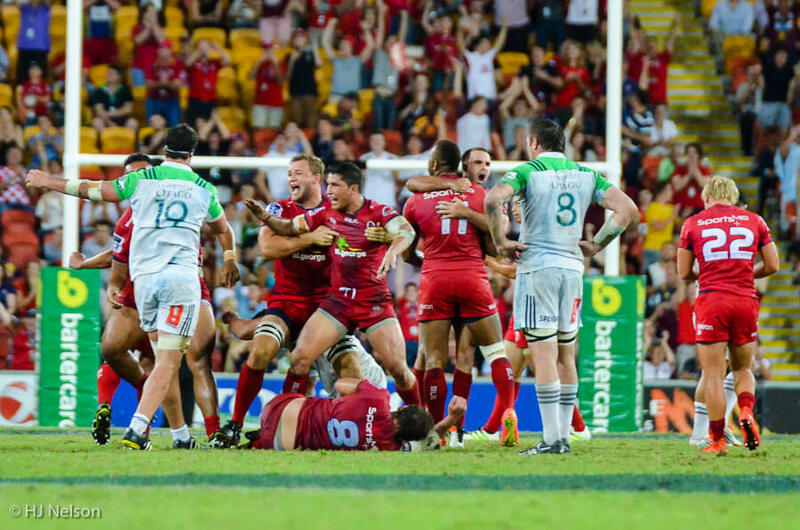 Army Rugby comes alive at Ballymore!